It’s been nearly 15 years since U.S. readers first met Harry Potter and traveled with him to Hogwarts via J.K. Rowling’s now-classic series. 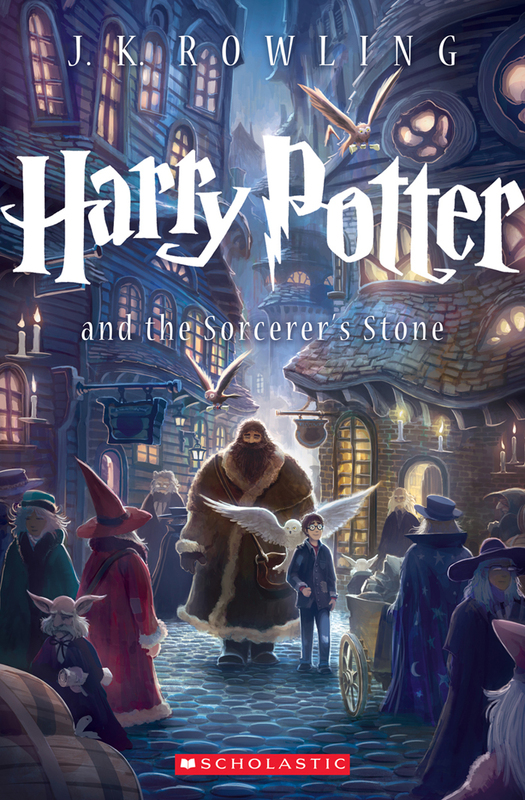 To mark this milestone, Scholastic will be publishing seven all-new covers on its U.S. trade paperbacks editions this September and today reveals the first one, for Harry Potter and the Sorcerer’s Stone. All seven of the new Harry Potter trade paperback titles will be available individually in September and priced between $12.99 and $16.99. The volumes will also be packaged in a boxed set that will retail for $100. As yet another 15th-anniversary treat for Potter fans, Scholastic will release the first boxed set of the complete Hogwarts Library, which includes Quidditch Through the Ages, Fantastic Beasts and Where to Find Them, and The Tales of Beedle the Bard, in November. The set will retail for $29.99 and sales will benefit two charities chosen by Rowling: Lumos, the children’s charity she founded, and also Comic Relief, the U.K.-based charity that uses funds to combat poverty and social injustice.